Pelican is a brand known around the world for their durable and waterproof cases. They make cases for all kinds of purposes. Luggage, camera bags, laptop cases, smartphone and tablet cases, you name it. If there’s an object you need protected from the elements, chances are they’ve already created a case designed to house it. This includes memory cards. There are two different memory card cases made by Pelican: the 0915 designed for SD, micro and macro SD’s and the 0945 designed for CompactFlash cards. 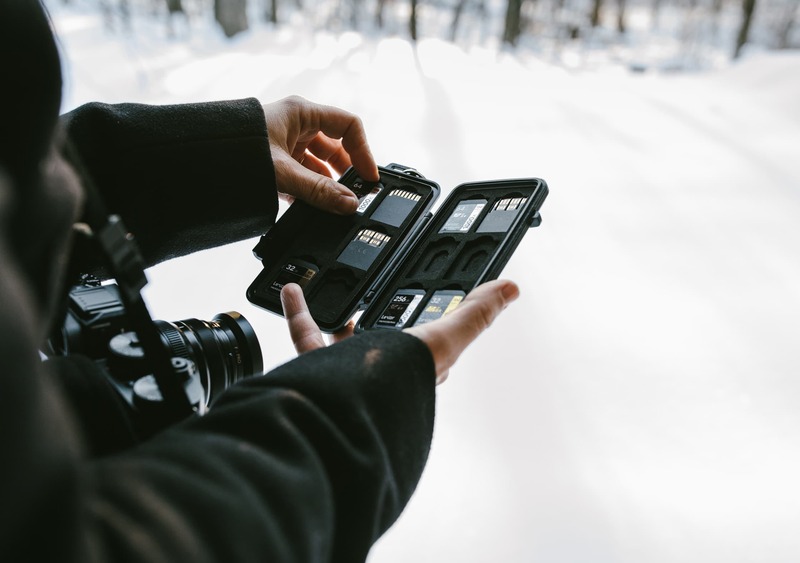 At the moment, there isn’t an option for cases that can carry both SD and CF cards, which is a bit of a pain if you’re a Canon shooter and have dual card slots, as they carry both SD and CF. Luckily the cases aren’t that huge, so carrying around two of these bad boys won’t take up a huge amount of space. 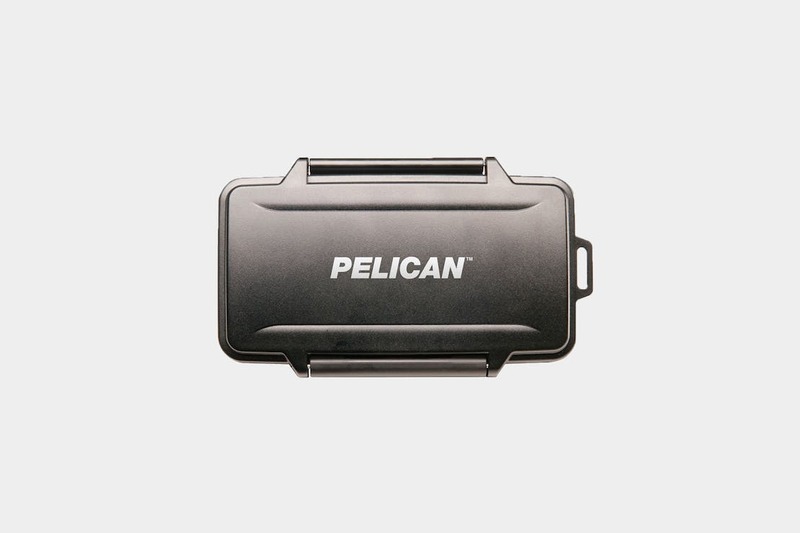 The Pelican memory card cases are quite reasonable for the peace of mind it will give you. The 0915 SD card case is around $21 USD and the 0945 CF card case is around $25 USD. You can find them easily on amazon. Both the 0915 and the 0945 are made from the same material both inside and out. The outside is made from Polycarbonate which is a thermoplastic used in engineering. Basically it’s the Superman of plastics. It’s really f*cking tough but can blend in with other plastics with its glasses on. It also ages the same as Superman. It can go through battle after battle and you’re staring at it thinking “how the heck are you not scarred from that! ?” Mind BLOWN! The inside foam is elastomer which is a polymer with elasticity (they really got inventive with the name). By using elastomer (it’s basically just a fancy word for rubber), rather than typical foam, the inside retains its shape. The elasticity allows for it to bounce back if it’s pushed down on, or if you’re a little bit rough on it when you’re trying to get a card out in a hurry. It’s also a great choice as the material absorbs shock, which helps if you happen to have butter fingers. The cases are 5.55” x 3.27” x 0.85” in size. So it’s slightly smaller than your smartphone, but a little bit deeper. 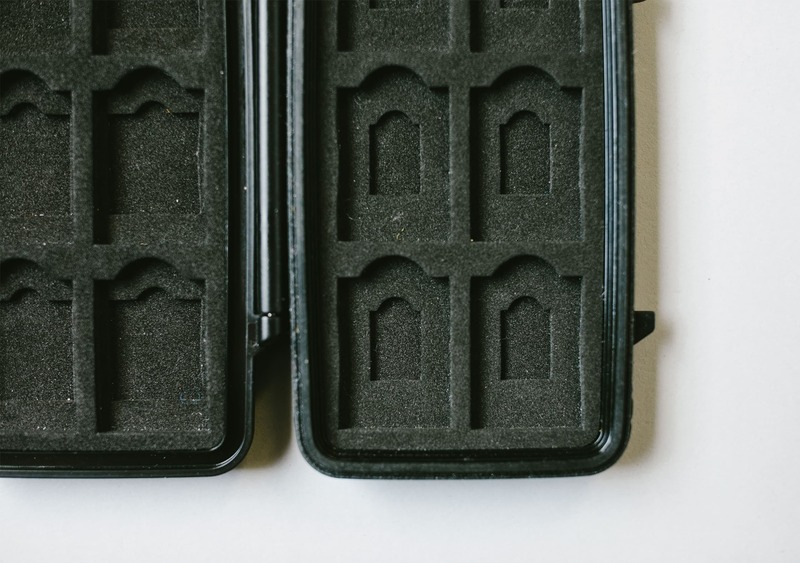 The SD case will carry 12 SD cards as well as 6 mini SD and 6 micro SD cards. The CF case will carry 6 compact flash cards.There is a divot in the foam where all of the cards go so you can easily get them out of the case. The foam does tend to be quite stiff when it’s first purchased. It may be a little tough to get your cards into the spots, but it will soften over time. Do be aware that if you’re in a hurry and try to get your SD cards out of a brand new case, there is a small chance the cards can break. You may not even realize you possess herculean strength when it happens, so try to be a little patient when popping out a new card while the foam is still new and stiff. Keeping things in one place and organized is a definite bonus when you’re dealing with more than one memory card. 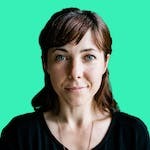 You can even use a simple technique to easily determine which card is full and which is formatted and ready to go: simply flip the memory card upside down if it’s full and right side up if it’s empty. Voila! You’re a genius. 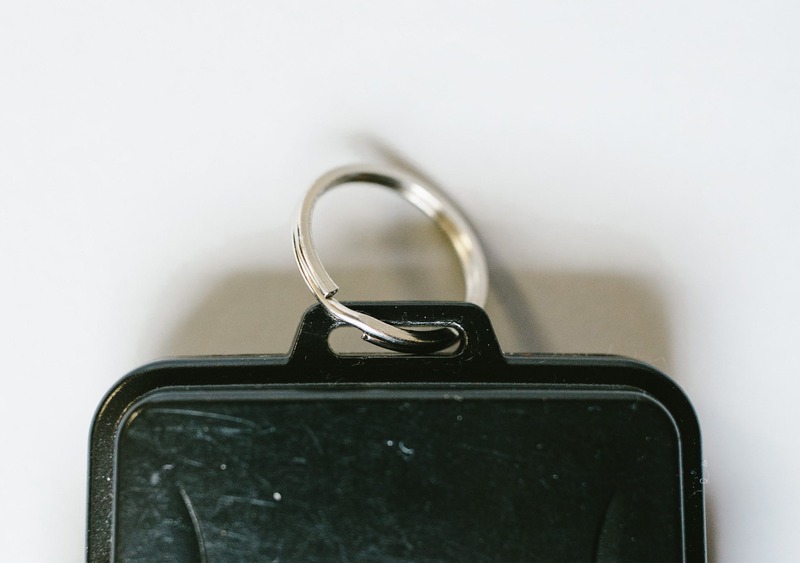 There is a small plastic rectangular loop on the top of the case that can easily hold a key ring. This makes it super convenient to clip to a carabiner for safe keeping, or to the clip that’s attached to the inside pocket of your backpack. The cases that are currently available are the second version of this case. The most obvious difference between the new and the old is the lock latch on the outside. The older version is harder to open and close, and has a more subtle and discreet edge. It doesn’t seem like a big deal, and for the most part it isn’t, but the new latch is a little easier to accidentally pop up. It can sometimes catch and pop open on its own. The foam on the new cases started out a little stiffer than the old ones, but has softened more than the older cases. This can lead to the cards coming loose inside the case. These two issues can be super problematic when combined. It’s rare but on a couple of occasions, it has popped open and a card has slipped out, which is less than ideal. The case has a rubber ring around the inside edge, which creates a watertight seal. This eliminates the worry of getting caught in the rain, or overturning your canoe with your cards on you. 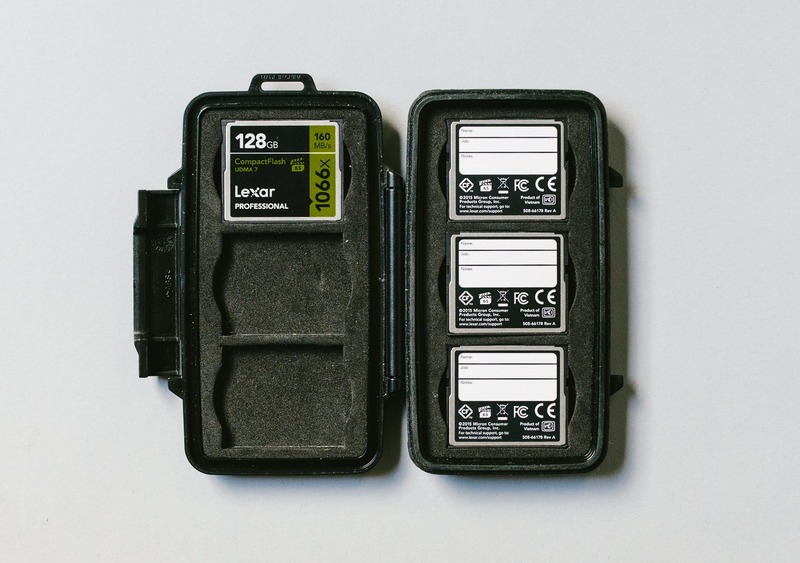 Your camera may not make it but your memory cards should be safe. Conveniently, the case floats. So if you do overturn your canoe, your memory cards won’t wander to the bottom of the lake, they’ll be floating next to you. You can also use that keyring you attached to the rectangular plastic loop and have it clipped to something safe. Just make sure you properly dry off the case before opening it so you don’t accidentally introduce any water from the outside of the case inside. It’s always recommended to test out your watertight cases with a piece of paper inside, before trusting it to save your important items, just in case. Both the new (0915) and the old (0945) case versions: The case is a bit on the stiff side, but it’s a great solution for safely storing cards on the go. Both the new (0915) and the old (0945) case versions: Case is a little less stiff now, and still an excellent solution for storage. Both the new (0915) and the old (0945) case versions: A bit of wear and tear showing, but nothing that messes with the integrity. Both the new (0915) and the old (0945) case versions: Scratches are evident, but nothing to worry about. New version (0915): OK. The case can accidentally pop open. Old version (0945): Very good. New version (0915): OK. The foam has softened to the point where cards can slip out, the old cases don’t seem to have the same problem. Old version (0945): You guessed it. Still very good. Organized! Memory Cards! What a thing of beauty! Watertight case keeps your memories safe and dry. 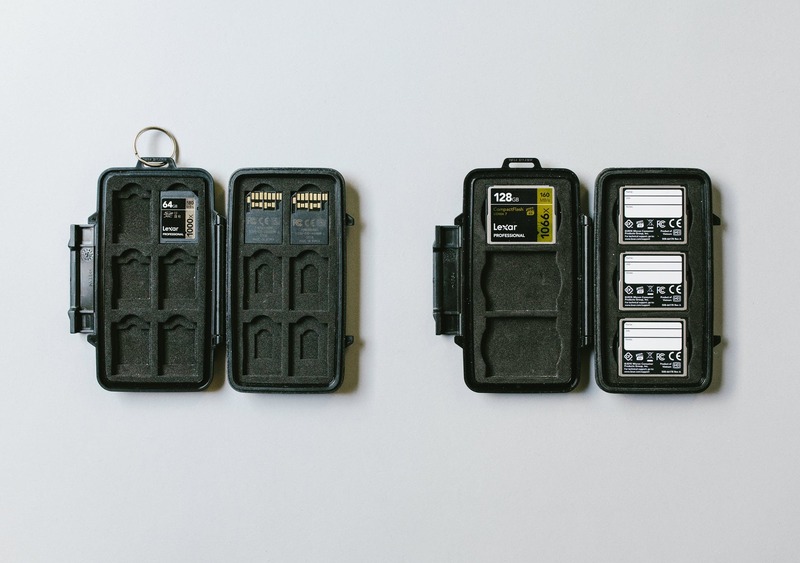 Durable hard case can take a beating and still keep your memory cards in one piece. Pelican doesn't make a case that can hold both SD and CF cards. For a Canon shooter with dual card slots, that's a pain in the rear. The stiffness of the foam can lead to broken SD cards, if you're not careful. We've found the newer version of these cases can pop open without warning. 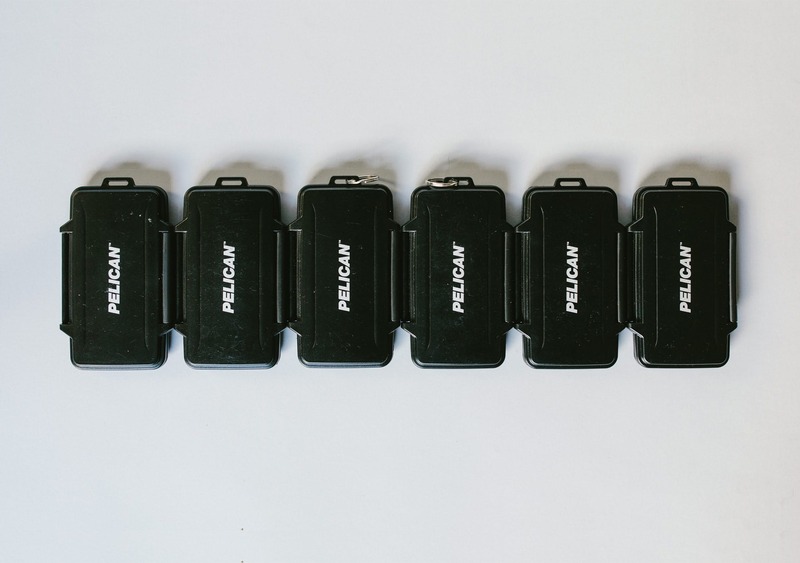 The Pelican memory card cases are a great option for storing, organizing and keeping your cards safe whether you’re at home, traveling the world, or hopping in your canoe for the weekend. It will protect your memory cards from drops (both the clumsy kind and the rain kind), but just like anything, it does require a more gentle touch as it gets older.